Swedish Shock-rockers Ghost performed a 15 song set at the King’s Theater in Brooklyn on Saturday night Nov 12, which served as unofficial “pre-party” to The Red Party in Manhattan, inasmuch as a large contingent on NYC Goths were in attendance at the former concert before heading over to the latter dance club (More about this below). This horror metal group is characterized by two features. First, they affect a Satanic routine, dressed in devil masks or monks’ hooded robes, except the frontman who is attired as a kind of anti-Pope, wearing a bishop’s headdress and vestments, topped with skull-face make-up. 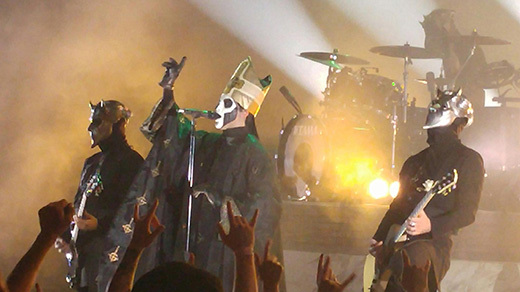 The band members maintain personal anonymity, but the frontman calls himself Papa Emeritus III, and the tour, of which this was the final stop, is termed “Popestar.” The other outstanding feature of this band is the exceptionally melodious quality of the music, a break with the metal tradition of minimizing melody among the progeny of Black Sabbath. They started their set with some mournful chants creating a creepy, church-like atmosphere. They moved then to a rapidly-paced traditional rock piece called “Square Hammer” featuring a driving beat. The group has been around since 2008, but tonight’s selections were mainly off their 2015 album “Meliora.” Many of their songs have Latin names in dubious imitation of Roman Catholic liturgy. Much of their set is as melodious and beautiful as something by Boston or Foreigner in the 70s, but with decidedly minor key, power chord accents. They stepped out of the rock formula many times with eerie, ghostly pieces, or during bridges within heavy metal hymns. At the end of highly varied, wide-ranging musical set, they encored an “audience join in” choral anthem called “Monstrrance Clocks.” Those with transportation and freedom to do so, headed over to The Mercury lounge in Manhattan’s Lower East Side for the monthly Red Party. Even watching Kai arrange the stage for her quintet was riveting as the statuesque diva flitted from one musician’s station to another in her feathered headdress and gorgeous outfit like a force of nature or a regal presence establishing her realm. The set began with a “Evolve Devolve” a slow, ponderous ode, heavy on percussion and bass. It was then we noticed that Kai was performing while entwined by her faithful and sometime restless, live boa, Loki who twisted frequently to gaze lovingly at his mistress.The pace changed to rapid with the second number, rousing anthem, “Cross the Line,” off her introductory CD. “Delicate Silence” followed, featuring hissing, whispered vocals paired with those of keyboardist Nicole Eres. In the middle of her set, Kai gave us the theatrical “Gloomy Sunday,” in which inverted arpeggios on synthesizer and a plodding,, relentless cadence created a feeling of madness and anguish. With the 6th selection, “Ghost,” Kai took to the keyboard herself and showcased her wide-ranging and melodious vocal command, as she paired in duet, this time with guitarist Phyzal Alhammdani. Twice during the performance, Kai graciously called attention to her accompanists, introducing each by name. Eventually she passes off the boa, Loki whose weight must surely have been somewhat of a strain, even for Kai’s distinctly stacked, feminine physique. 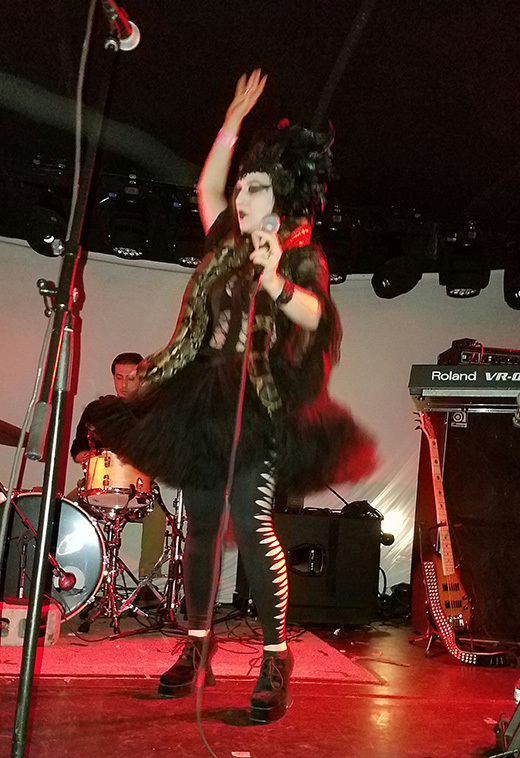 The last two songs, “I Burn” and “I Lose Control” were both heavy-duty, industrial rock numbers as well as recognized standards in The Sedona Effect repertoire, concluding a notably theatrical and musically impressive set that had some in the crowd calling for more. 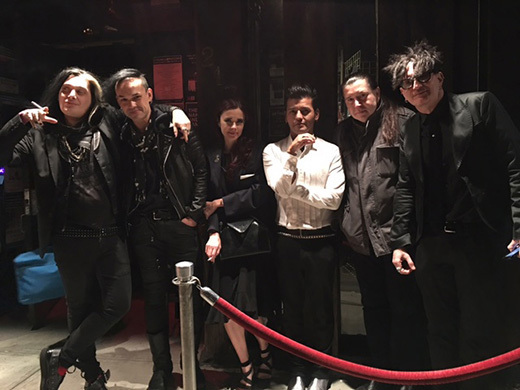 The party went on well into the morning and was crowded with celebrants and with celebrities of the Goth Scene including fangmaster Fr. Sebastiaan; DJ Raven; Xris Smack of Stimulate and dazzling beauty Ashley Bad; DJ Patrick of Salvation; Chris Savo, friendly host and manager of Windfall; and noted music patrician, George Grant. The bar was congested, but never too crowded to get service. Those in the back were able to place orders that were relayed to the bar without having to leave the dance hall. The Mercury Lounge once again proved to be an ideal spot for gatherings of this type. 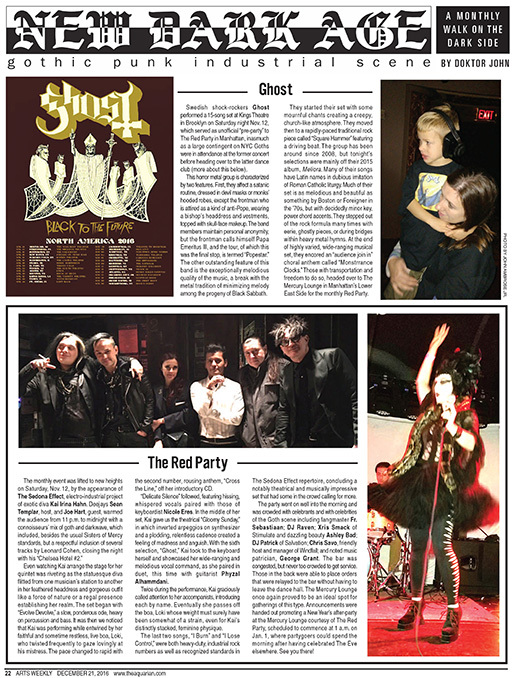 Announcements were handed out promoting a New Year’s after-party at the Mercury lounge courtesy of The Red Party, scheduled to commence at 1 am on January 1st,, where party-goers could spend the morning after having celebrated The Eve elsewhere. See you there! Joy Division tribute band Disorder continues to be highly in demand in this the greater NYC metropolitan area. 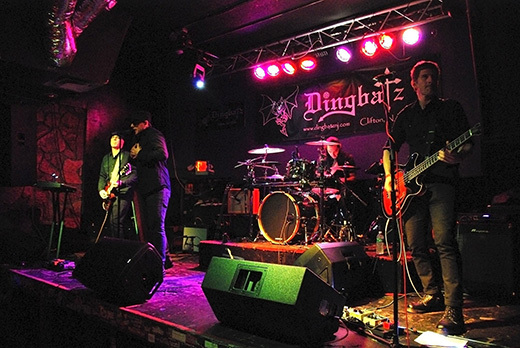 Dingbatz is famous for its exceptional sound system and for hosting well-known as well as up-and-coming bands ranging from punk to metal to Goth. A crowd of about 30 filled the small SRO space and included some of the most fanatical and enthusiastic Joy Division buffs I have ever noted at these events. Two young ladies, known only as Gabby and Eva appeared to know the lyrics of every song and to respond with squeals of joy and recognition as the band struck up the first notes of each piece. Notables in the audience included multi-instrumentalist Christian Dryden, front man of The Ritualists and participant in numerous other music projects; Deejay Lily-Stephanie Horreur; and ubiquitous scene veteran, Torrin Krrell. NJ-based Disorder reprised their renditions of some of Joy Division’s most beloved repertoire, coming on about 11:30 pm, after the Dingbatz staff attended to every last detail of audio perfection. Disorder’s set list that night, like much else about Joy Division, really merits close scrutiny. The next song “Warsaw” is a mystery to most listeners. It was intended for an album of the same name, which never got released until 1994, although it appeared on the compilation, “Substance,” and tells the peculiar story of Hitler confidante, Rudolf Hess, who defected to the U.K but was taken as a prisoner of war by the British. 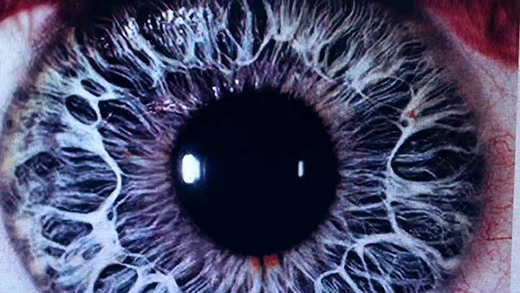 The numbers one hears recited refer to Hess’ assigned P.O.W. number. “She’s Lost Control” comes from “Unknown Pleasures,” and seems connected with a scene in the movie “Control,” in which Ian Curtis witnesses a seizure by a client while he was interviewing her in his capacity as an employment clerk. Curtis, himself – it is well known – was subject to seizures. “Shadowplay” off the debut album followed and then Joy Division’s more recognizable hit, “Love Will Tear Us Apart,” a hit single from 1979, which is considered significant of Ian Curtis’ deteriorating marital situation that may have led to his suicide in 1980. It made its way onto the “Substance” compilation. When the crowd demanded an encore, Disorder complied with the tragic “Ceremony,” a song Joy Division only recorded live, but never as a studio track. It was subsequently recorded by the surviving members as the sequel band, New Order. Contemplating Ian Curtis’ esoteric poetry and listening to the scrupulously faithful covers by Disorder, one has the revelation that Joy Division was much more than just another post-punk band, but a significant entry into the post-modern movement that continues to permeate our culture today. Which explains why this group of musicians draws such intense inspiration and sense of commitment to their tribute project. It also explains their phenomenal popularity within the greater metropolitan music scene. 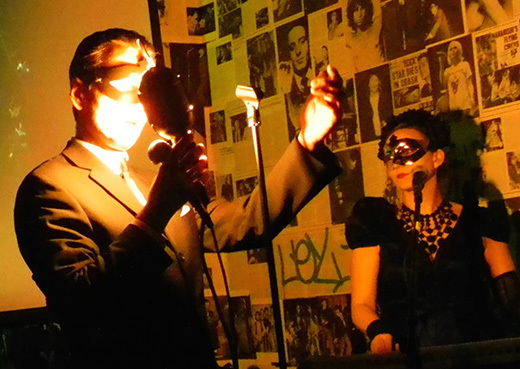 Besides the customary darkwave/deathrock served up by hosts and resident deejays Cyclonus and Jose Frances there were live performances by openers Canter, a moody trio from Chicago and headliner, Metropolis Records artists, Noir performing their first area show in over a year. This was the fourth David Lynch tribute edition of Arkham, and everything from his Mulholland Drive to episodes of Twin Peaks and Blue Velvet was shown on a giant flat screen over the bar or on the projector screen in the dance hall. DJ sets following the live performances included the Smiths, Wumpscut, Ministry and Lords of Acid as well as many more standards as well as rarities. Famous deejay and impresario Jeff Ward hosted guest deejays Negrarose, Jaycee (Shadow Nightz) Cannon and D.J. Arsenal for the late November installation of recurring Ward 6, an event of “dark dance, Industrial, New Wave, Synth and Goth” music at midtown’s Windfall. Ward 6 takes its name, not only from the host Jeff Ward, but from a short story about a lunatic asylum in Russia by Chekhov. The atmosphere at the event, while not quite lunatic, runs to the extreme of enthusiasm, owing to the over-the-top feeling of closeness among long-time, faithful attendees and the gala atmosphere produced by the dark and rhythmic musical dance selections. Careful attention to hospitality issues by Windfall manager Chris Savo, plays no small part in making Ward 6 a must-attend event. The Fr. Jeff Ward’s three resident deejays, Patrick, Sean and Angel were in rare form, Dec 3, putting dancers through non-stop sets of New Wave, dark wave, Goth and industrial that kept the floor crowded and animated the entire night. Annabel Fagan maintained a stand selling delectable cupcakes until they were sold out, just behind gate-keeper Mandana Banshee’s post. Windfall manager Chris Savo floated both behind and in front of the bar to assure a comfortable and conducive atmosphere as seems to prevail at all Necropolis events. Scene regulars Carmel Carmel, Sir William Welles and Diana Cannone were, of course in attendance, but Shirley Alvarez and her entourage were notably absent and missed this time. Three artists/albums deserving special mention came to our attention this month. Scandinavian doom-metal quintet Trees of Eternity, organized 2009, has just this November released their first full album called “Hour of the Nightingale” on Svart Records and totally available for listening on Youtube and for purchase on Amazon. It features ten tracks with titles like “My Requiem” and “A Million Tears.” These are songs of sorrow and loss. The lilting, echoing female vocals, the baleful tolling bells and the dark, symphonic guitar accompaniment place Trees of Eternity into the company of such successful bands as Evanescence, Lacuna Coil and Nightwish, but with sufficient distinction to stand alone. The songs are notably slower, more melodious, more mournful and to some extent, more reliant of instrumental accompaniment than others mentioned above. On the last cut, “Gallows Bird,” an ominous baritone male voice takes over for a slow-paced and menacing dirge. With that sound fresh in mind, I would say Trees would be perfect to tour with another Scandinavian band – Ghost. Another match would be Antimatter. 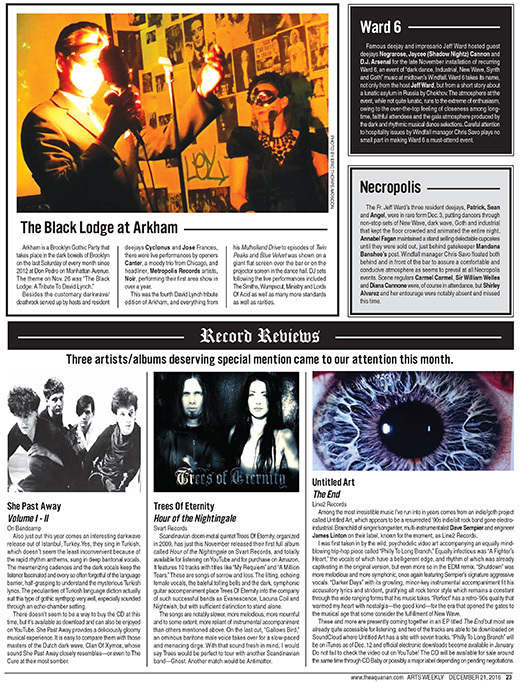 Also just out this year comes an interesting darkwave release out of Istanbul, Turkey. Yes, they sing in Turkish, which doesn’t seem the least inconvenient because of the rapid rhythm anthems, sung in deep baritonal vocals. The mesmerizing cadences and the dark vocals keep the listener fascinated and every so often forgetful of the language barrier, half-grasping to understand the mysterious Turkish lyrics. The peculiarities of Turkish language diction actually suit this type of gothic synthpop very well, especially sounded through an echo-chamber setting. There doesn’t seem to be a way to buy the CD at this time, but it’s available as download and can also be enjoyed on Youtube. She Past Away provides a deliciously gloomy musical experience. 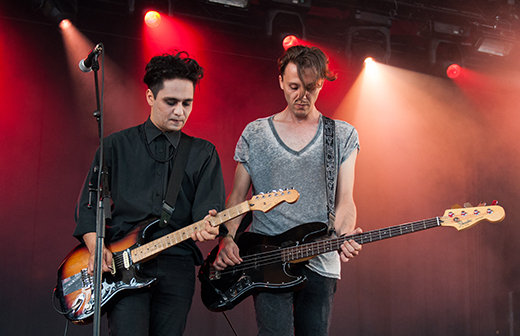 It is easy to compare them with those masters of the Dutch DarkWave, Clan of Xymox, whose sound She Past Away closely resembles – or even to The Cure at their most somber. Among the most irresistible music I’ve run into in years comes from an indie/goth project called Untitled Art which appears to be a resurrected 90s indie/alt rock band gone electro-industrial. Brainchild of singer/songwriter, multi-instrumentalist Dave Sempier and engineer James Linton on their label, known for the moment, as Line2 Records. I was first taken in by the wild, psychedelic video art accompanying an equally mind-blowing trip-hop piece called “Philly To Long Branch.” Equally infectious was “A Fighter’s Heart,” the vocals of which have a belligerent edge, and rhythm of which was already captivating in the original version, but even more so in the EDM remix. “Shutdown” was more melodious and more symphonic, once again featuring Sempier’s signature aggressive vocals. “Darker Days” with its a growling, minor-key instrumental accompaniment fit his accusatory lyrics and strident, gratifying alt rock tenor style which remains a constant through the wide ranging forms that his music takes. “Perfect” has a retro-90s quality that warmed my heart with nostalgia – the good kind – for the era that opened the gates to the musical age that some consider the fulfillment of New Wave. These and more are presently coming together in an EP titled “The End” but most are already quite accessible for listening, and two of the tracks are able to be downloaded on SoundCloud where Untitled Art has a site with seven tracks. “Philly To Long Branch” will be on iTunes as of Dec 12 and official electronic downloads become available in January. Do not fail to check the video out on Youtube! The CD will be available for sale around the same time through cdbaby or possibly a major label depending on pending negotiations.